Loaded Irish nachos are guaranteed to be a hit at your Super Bowl party. They are a cross between the beloved sport's snack, nachos, and French fries. This is one of those dishes that you can quadruple to feed 40 people or make for just you and a couple of friends. 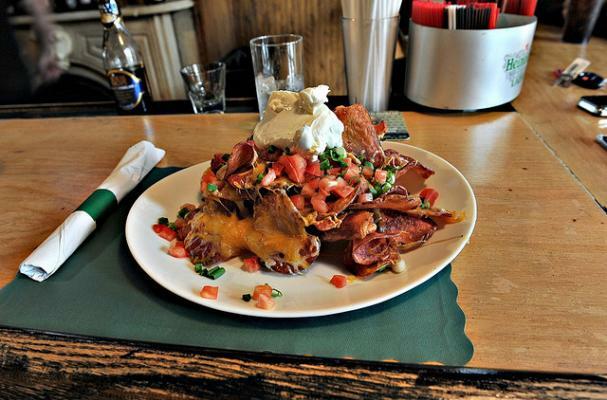 Crispy golden potatoes are topped with Irish cheddar, tomatoes, bacon, jalapenos, and a dollop of sour cream. Crving Irish nachos already? This step-by-step video shows you how to make them so you can get into the kitchen ASAP.